Let's see how bad they want the playoffs. Yeah... we know at least one person cares. Panthers on the second of a back to back in a game they had to use both goalies. Should be an easy one for the boys. Never is against the Panthers. They’re like the Sabres, they give us fits. Need the Islanders to come through tonight. Hopefully the Caps don’t screw it up against the Canes. Hopefully The Blue Jackets will be jet lagged and the Islanders jump all over them. 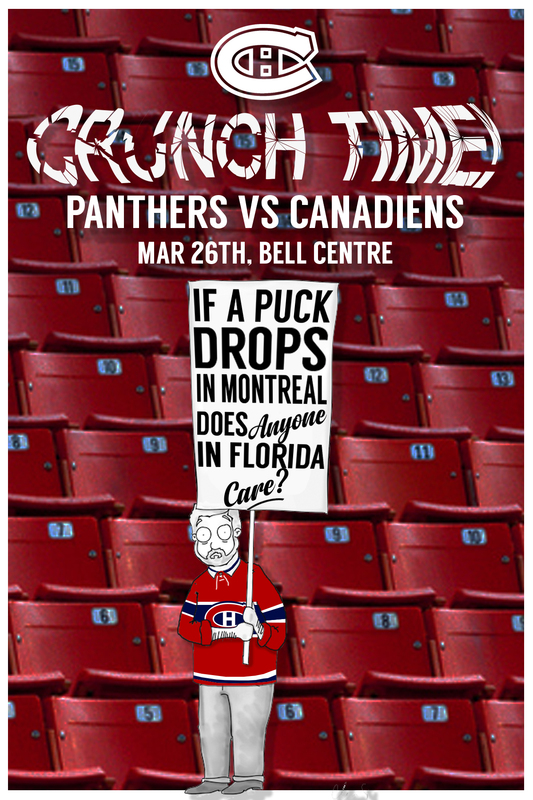 Could be a good night if the Habs can pull out the win coupled with loses by Carolina and Columbus. Once can hope. He unexpectedly played last night its Reimer. Why the **** is Byron fighting???!?!?! Weegar is visibly shaken after injuring Byron. The Florida player felt the same way. Face palm when he saw the replay on the scoreboard. It was a bell Byron had to answer because he got suspended for that hit to the head of Weager a few monthsago. Ahhh.... Yeah I forgot about that. Such a dumb "tradition." Kulak! 2-0 Habs. So far so good.